Here are some of the many real estate developments we have managed over the years. Owner's representative to obtain entitlements and oversee all phases of design and construction of 130-room hotel. New office building with 110,000 sq ft office space, retail and 535-car parking garage. New 134-room hotel with 21 condominiums. 115,000 sq ft office building with structured parking garage. Project management for acquisition of land to develop additional parking for the Class A Office Park in highly sensitive Long Creek watershed. 12,000 sq ft renovation of historic downtown building. 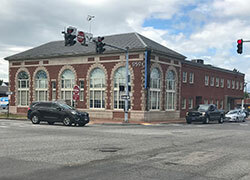 Owner's representative for new office building to be located at the corner of Commercial Street & Cross Street. New construction of 28,000 sq ft office & retail. 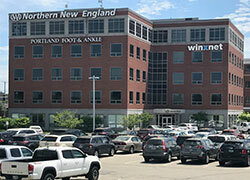 8,000 sq ft renovation for office and medical use. 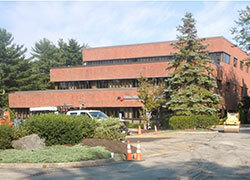 Capital needs assessment for 15-year-old office building. Renovations to the former Reebok retail store owned by A.B. Glickman Company. 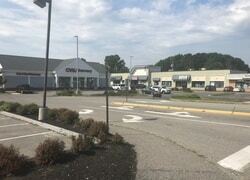 Reconfiguration of suburban shopping center with CVS Pharmacy. 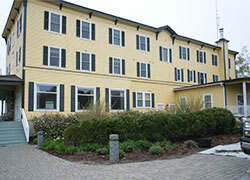 Renovation and addition to historic inn. Identify scope and strategically plan phasing to maximize business. 25,000 sq ft manufacturing space expansion. Project management for demolition and construction of new warehouse. Tenant improvements to 2200 sq ft retail space in mixed-use building in the historic Arts District. Renovations for the 50 Portland Pier Condominium Association. Major office and residential conversion project management. Developer and general partner in conversion of former dormitory to retail and apartments with parking, concept to completion. Purchase and expansion of existing multi-family housing. Developer and general partner for twenty-one new condominiums with heated structured parking garage, concept to completion. 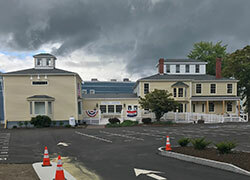 Construction management utilizing historic tax credits to renovate and restore a landmark Western Promenade property. Owner’s Representative for construction of new subdivision with four homes. Panelized, modern, energy-efficient construction with underground utilities. Capital needs assessment for senior retirement village. Owners representative for major remodel of old 9000 sq ft elementary school into apartments with retail spaces using Historic Tax Credits. Private subdivision with 10 custom homes on lots from 2.5 acres to 20 acres. Designed and built by Sewall Associates (Greg Shinberg, lead). Main House and guest house located on a private waterfront lot on Long Lake with custom cabinetry and vaulted ceilings. Design by James Sterling Architect. Stonework by Morningstar Masonry. General contractor Sewall Associates (Greg Shinberg, lead). Project management for major renovation and addition. Custom interiors. Heat and hot water system provided by state of the art solar/pellet boiler combination. 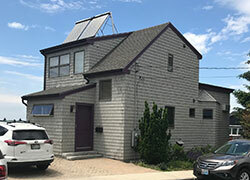 Owner's representative for renovations and addition to a private oceanside residence. Custom home designed by Greg Shinberg. New custom home 3200 sq ft with 1000 sq ft bonus room on 3rd floor. Designed by Greg Shinberg. Custom built home 3800 sq ft. Part of the home was an historic 1850s cape located nearby on Beech Hill Road. Open air vaulted greenhouse with bonus room over the garage. Designed by Greg Shinberg. New custom home 3700 sq ft with bonus room over garage with custom inground swimming pool on private lot in subdivision built by Sewall Associates. Designed and built by Sewall Associates (Greg Shinberg, lead). New Garrison style home 3200 sq ft with custom mahongony teardrops on beautiful private lot with bonus room over garage. Designed and built by Sewall Associates (Greg Shinberg, lead). Major renovation with custom kitchen and bath cabinetry. Designed by Theodore & Theodore Architects. Custom built by Sewall Associates (Greg Shinberg, lead). New custom home 4,000 sq ft with fine interiors. Designed and built by Sewall Associates (Greg Shinberg, lead). Major renovation with custom kitchen and bath remodel. Custom Design by Greg Shinberg. Major remodel with active batch hot water preheat systme. Designed and built by Greg Shinberg. Featured in major publication. Custom built 4500 sq ft home with custom mahogany stairs and reused millwork throughout, walk-out basement, spectacular views of Sebago Lake and Mount Washington. Designed by Boothbay Architects. Built by Sewall Associates (Greg Shinberg, lead). Major remodel with custom red cedar garage door and unique vaulted entry with reused southern yellow pine wainscot. Designed and built by Sewall Associates (Greg Shinberg, lead). Custom built 3400 sq ft home with attached garage. Bonus rooms on third floor and over garage. Custom kitchen and bath cabints. Handmade custom-designed cabinetry in living room. Designed by Larry Fletcher Architect. Built by Sewall Associates (Greg Shinberg, lead). Custom designed 2200 sq ft New England style cape home with screened porch, attached garage, and traditional millwork. Designed by Greg Shinberg. Custom 3922 sq ft home on a private lot in Broad Cove. Designed by Greg Shinberg. Custom 3800 sq ft home with hand made kitchen, bath, living room, and dining room cabinetry. Bonus rooms over garage and on third floor. Designed and built by Sewall Associates (Greg Shinberg, lead). 3000 sq ft home with custom cabinets and built-ins with large daylight bonus room in basement. Designed by Stephen Blatt Architects. Built by Sewall Associates (Greg Shinberg, lead). Custom 3200 sq ft home with daylight cellar, and custom cabinets and built-ins. Designed and built by Greg Shinberg. Custom 3100 sq ft 4-bedroom home with bonus room over garage. Designed and built by Sewall Associates (Greg Shinberg, lead). “Balloon framed” 2-storey custom built home with daylight walk-out bonus room. Designed and built by Sewall Associates (Greg Shinberg, lead). Custom home on a 3-acre private lot. Designed and built by Sewall Associates (Greg Shinberg, lead). New LEED certified 34,000 sq ft presechool constructed adjacent to existing elementary school and connected via closed connector. 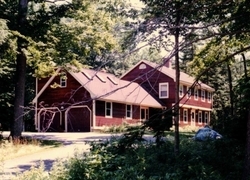 Group home for developmentally disabled adults. Built by Sewall Associates (Greg Shinberg, lead). Group home for Ingraham Volunteers (now Opportunity Alliance). Designed by Steve Normand Architects. Built by Sewall Associates (Greg Shinberg, lead). Major renovation to dormitory. Designed by Steve Normad Architects. Built by Sewall Associates (Greg Shinberg, lead). Owner’s Representative for 12-bedroom residential group home. Fast track project funded by for Maine Department of Human Services. Start to finish in 77 days on a private wooded lot with private drive, septic, and well. Fully sprinkled.